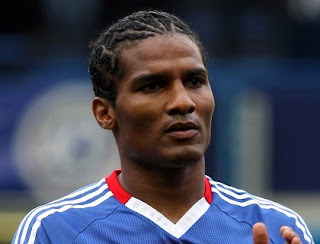 David Trezeguet recommends Malouda to Hercules. The rumour mill is rife this morning and will be from now until the end of the season when it comes to Chelsea. The basis of these rumours is the reports that Chelsea will be looking to rebuild their "ageing" squad come the summer. We have heard JT speak of the squad having plenty of experience in response to these comments but once again a player is being linked with a move away in the summer. It appears that David Trezeguet has recommended Florent Malouda to his club Hercules in Spain as a potential transfer target and a bid of around £7m is being reported. I have to say Malouda has come a long way since his performances of last season and the start of this one. He started where he left off but his form like most of the others has dipped in those months where we struggled and for me, the other night in Copenhagen, played at the level we have become accustomed to from him. I wrote an article a few weeks back about Malouda, and the fact that it appeared as though he had issues and wasn't enjoying his football at all. The other night he played well and looked hungry for the game and it was good to see. If we can keep Malouda happy, and he keeps enjoying his football then I don't see why we should entertain the thought of letting him go if these reports are to be believed in the summer. He is a class act and really blossomed in our Chelsea shirt and remained one of our most consistent players at the club. I even stated that part of the reason Joe Cole left Chelsea was because of the form of Malouda and I stand by that now. What do you people think? I know there are possible younger targets the club could go for but we have to be realistic here. Anyone we look to buy now will have their fee doubled because of the money we spent in the summer. Also, players from abroad will take time fitting into the Premier League so do we want to take the risk of letting someone like Malouda go?. I just hope that Malouda continues to look like he wants to be part of the team, working hard, playing well and enjoying his football. As for selling him, I'm not so sure.